January sure has been busy around here. 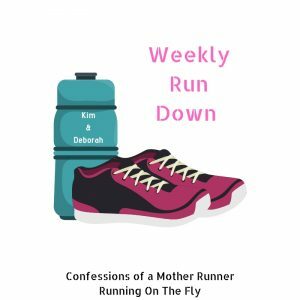 This month seems to be flying by and it’s already time for the January Runfessions. A fun way to share any running and fitness related thoughts you just need to get off of your mind. Thanks Marcia for hosting the linkup. Although it’s been quite cold and on some days, gray and dreary, I still would rather get outside and get fresh air than hibernate indoors. The cold air doesn’t bother me when running and I feel like I warm up pretty quickly. I did have an issue the other day with the balaclava. I am not used to wearing them and I was finding it hard to breathe under there. I felt like I was breathing back in my own air and could not seem to regulate my breathing correctly. Ended up having to take a few walk breaks. Any thoughts on that? I don’t normally do challenges because my workouts are kind of set but I am currently in the Peloton January challenge and a RunBet Challenge. 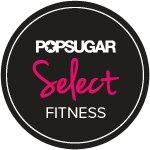 The Peloton January challenge requires you to do one Peloton class per day every day of the month. On days that I run, I am adding in a stretch or yoga class from Peloton. I almost forgot a few times and ended up doing a restorative yoga for 10 min right before bed which I am enjoying. The hubs thinks it’s kind of weird when he walks in the bedroom and I am just lying there “all namaste”. I will be doing a full recap of the RunBet soon but it’s keeping me on my toes for sure. I am excited for my first race of 2019 a 10K next weekend. Valentine’s Day themed -yes it’s almost February! It will be hilly and it will be cold but we will have lots of fun. 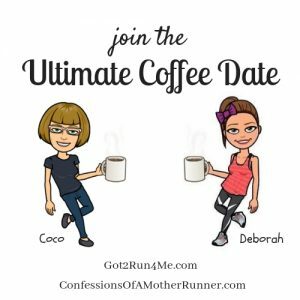 Speaking of February, next Friday/Saturday is the February Ultimate Coffee Date link up. Coco and I look forward to catching up with you over coffee. What do you have to Runfess today? I wish I could do more Peloton stuff – maybe when I’m not in heavy training – because I love the variety of classes they offer! I always have that feeling of suffocation with the first outing in my balaclava. I have gotten used to breathing differently when I wear it, but sometimes I just have to pull it down to get some fresh air! I am relieved to hear that it is not only me!! Ugh! I left a comment, then accidentally deleted it. Trying again…I am with you on the running outside thing. I can always add another layer. Good luck on your 10k. Sounds like it will be a lot of fun! It is always a lot of fun but again looks like it is going to be a cold one! I’m also enjoying the Peloton Winter Challenge. I like finding different classes to take on my non-running days. My goal is to try to take one class in each category before the end of the month. That Valentine’s Day race looks like it will be super fun. I’m all about themed races. I wish we had one here! I completely agree on getting out for fresh air instead of staying indoors. Plus I find that I’m really only cold for about the first mile on a run and then I warm up. I plan on trying to do a little yoga before bed a few nights each week. Do you think it helps with your sleep? 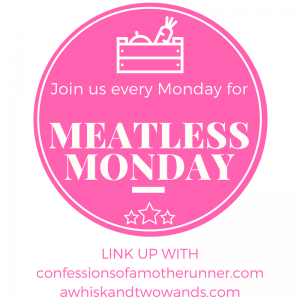 I runfess that I always forget about Runfessions until I start reading everyone’s posts! Good luck n your race next week. I can’t beli it will be February already! I have a few buffs, but I find they just annoy me if I try to put them over my mouth, so for me, they’re basically just neck gaiters (and that works for me). Like you, I much prefer to be outside. It’s the ice that’s keeping me indoors this week…but I know it will not last forever. I’m thankful I have a few indoor options if I need them. Hope you have a great weekend!! I am always thankful to have indoor options when I really need them! No cold weather running for me. There is just no layering up enough to keep me warm. I am a baby. LOL I can’t believe it is almost February . The month has flown. ha ha I bet you are a lot tougher than you think! Oh yes I know my husband thinks we are all crazy and lets me know it often 🙂 Stay warm! I’ve never run with a balaclava before but it DOES sound tricky to get used to! Good luck with your race next week!! That sounds like a really good way to kick off February!! We will be freezing our butts off but having fun while we do it! Aww, a Valentines theme race sounds fun! We have a Frosty 5K here in February but I am not running it. Maybe next year! Thanks for linking up! We will be freezing out there for sure next weekend! I struggle with wearing a balaclava too. I end up pulling down every now and then while I run. That Valentine’s themed race should be fun! I hope you have a great time at the 10k! I struggle with balaclavas too, especially since I also wear glasses – everything fogs up! I had put the For the Love of It 10K on my list as possible races for this year, but then I got injured… Have fun! I’m with you on the balaclava – I mostly wear it under my chin unless it is super cold, but even then I tend alternate between wearing it over my mouth/nose and pulling it down. I runfess that my workout at home is still a work in progress… so my challenges have definitely taken a hit this week… That yoga meme really made me LOL !!! my first race is coming up soon too – but I think it’s a week after yours (and I’m doing 2K less). I really like the 8K distance too not so much recovery.